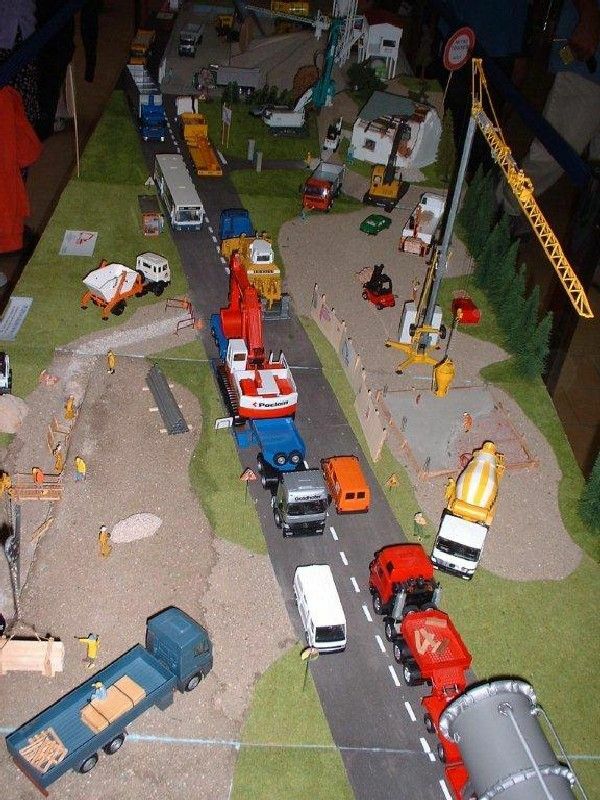 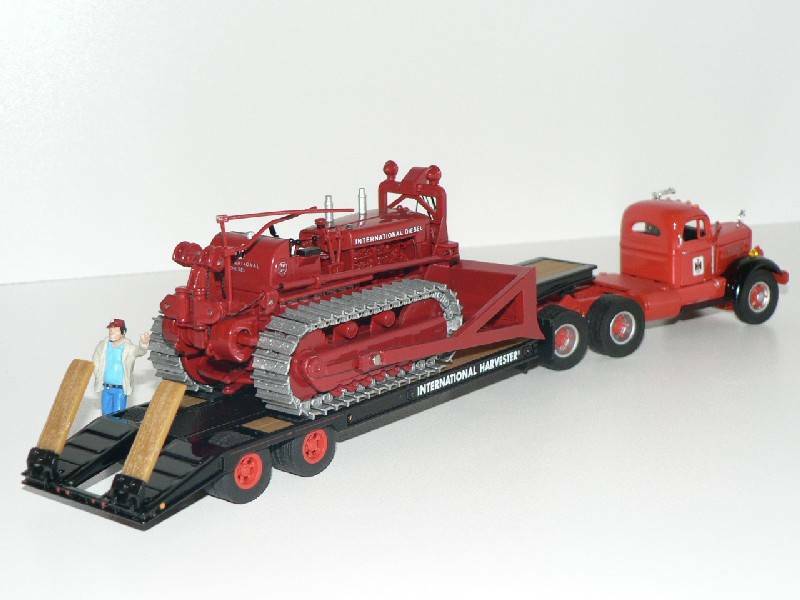 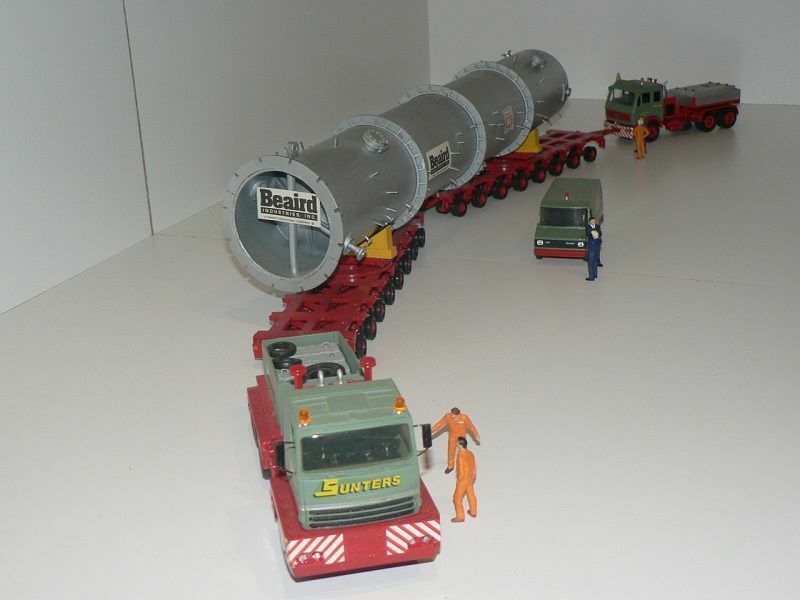 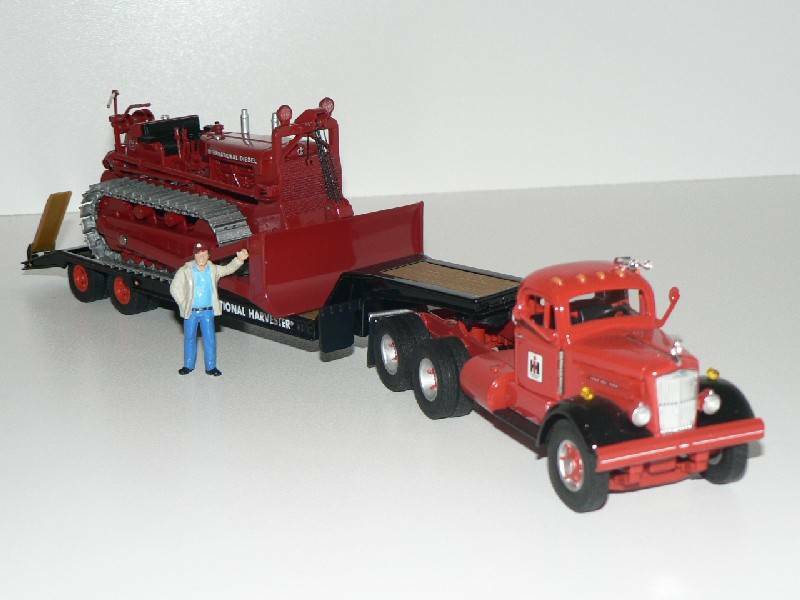 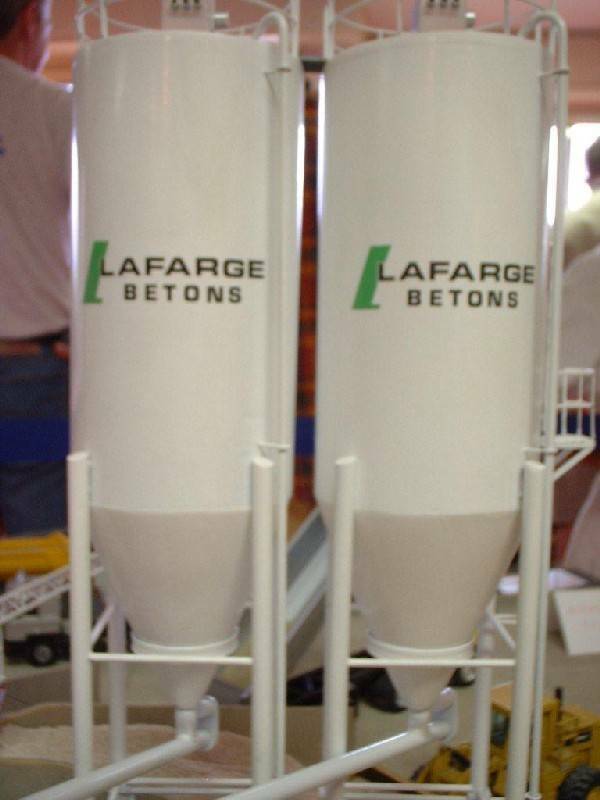 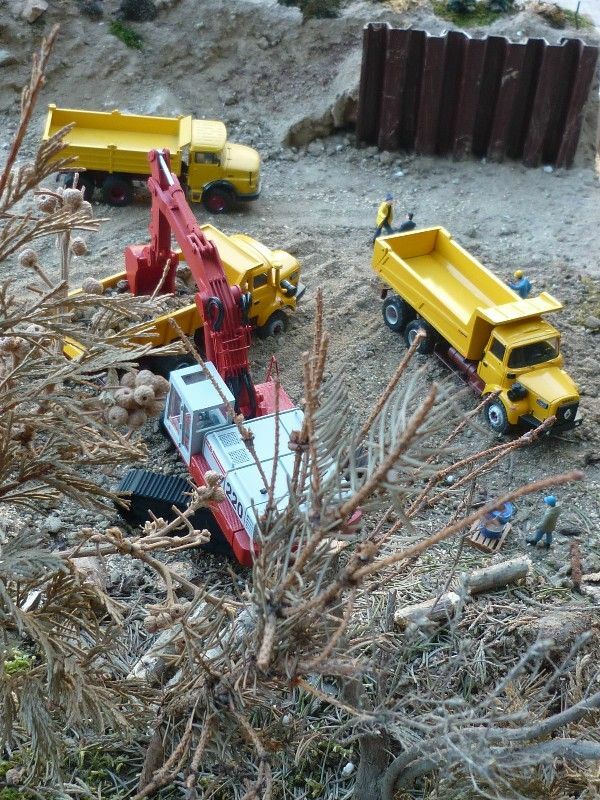 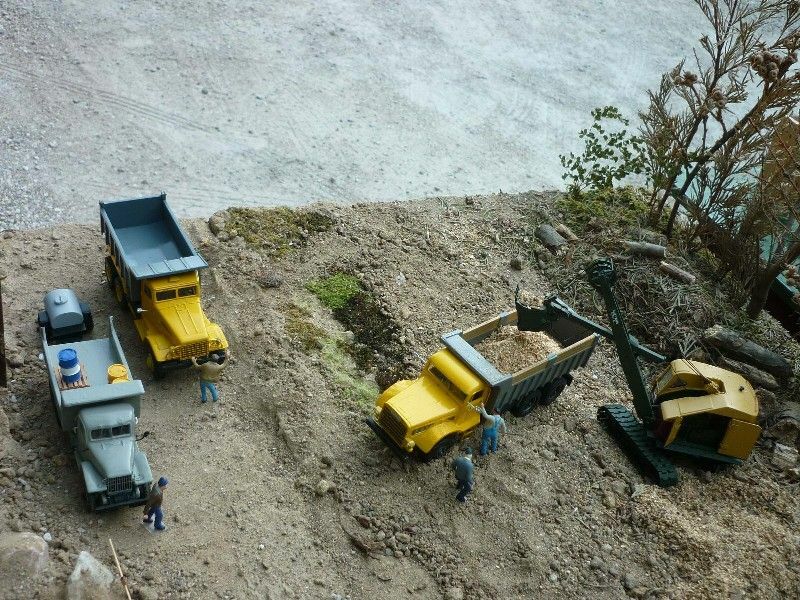 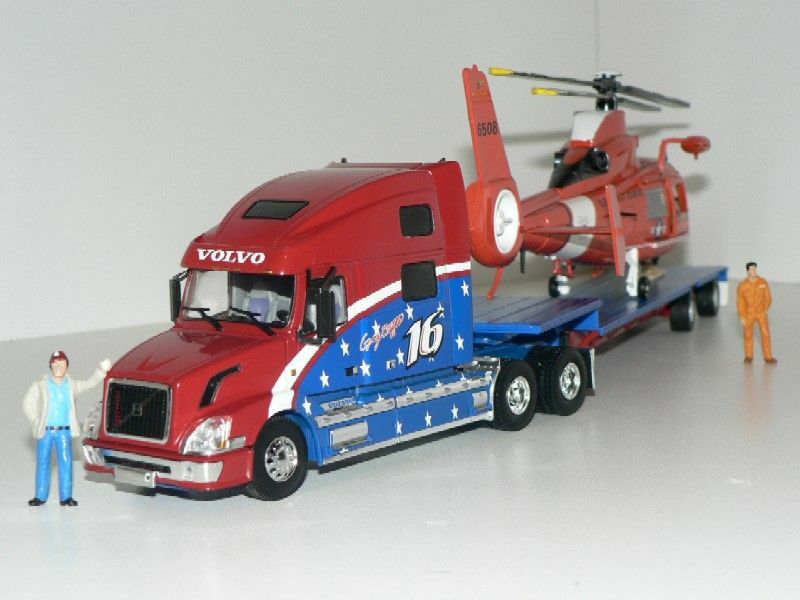 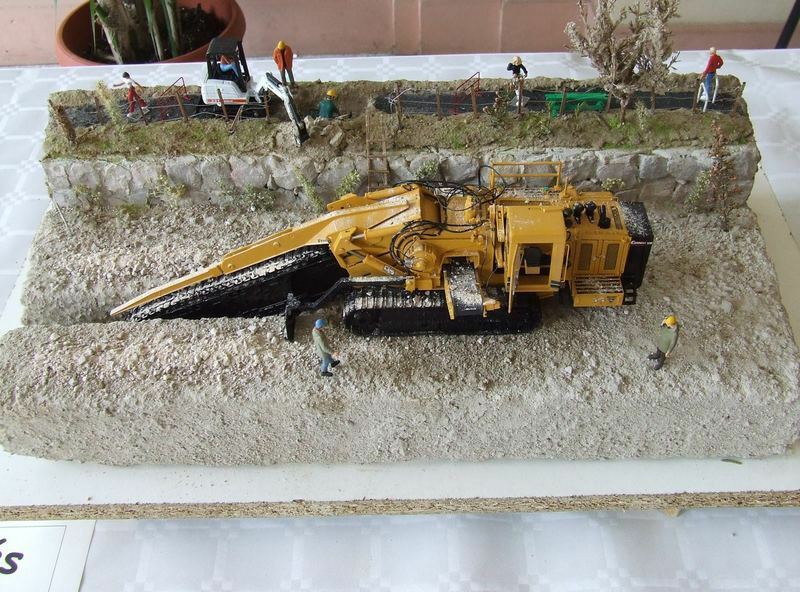 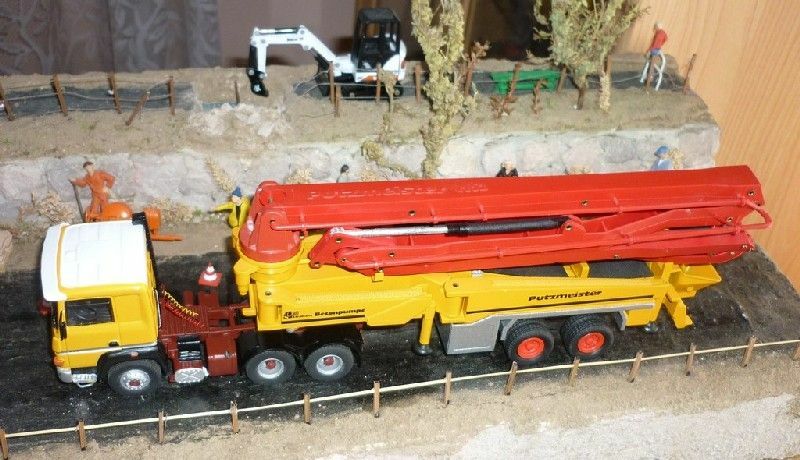 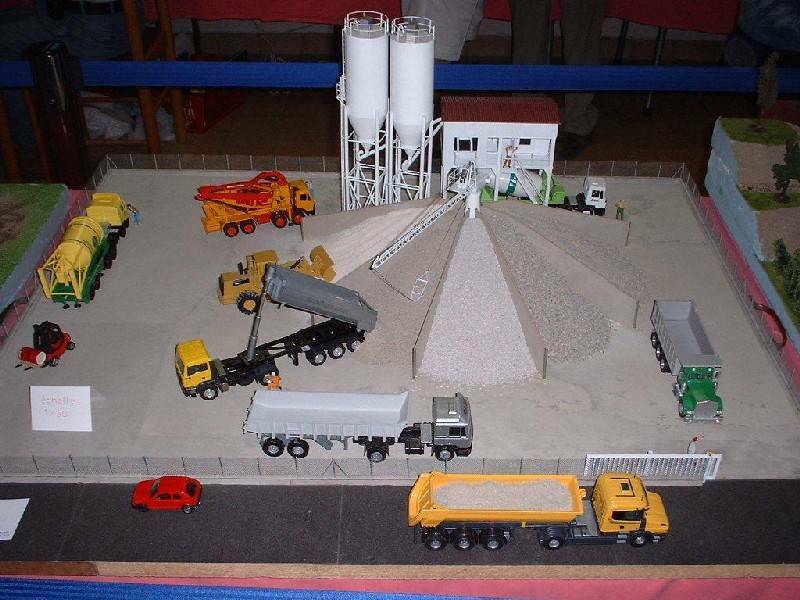 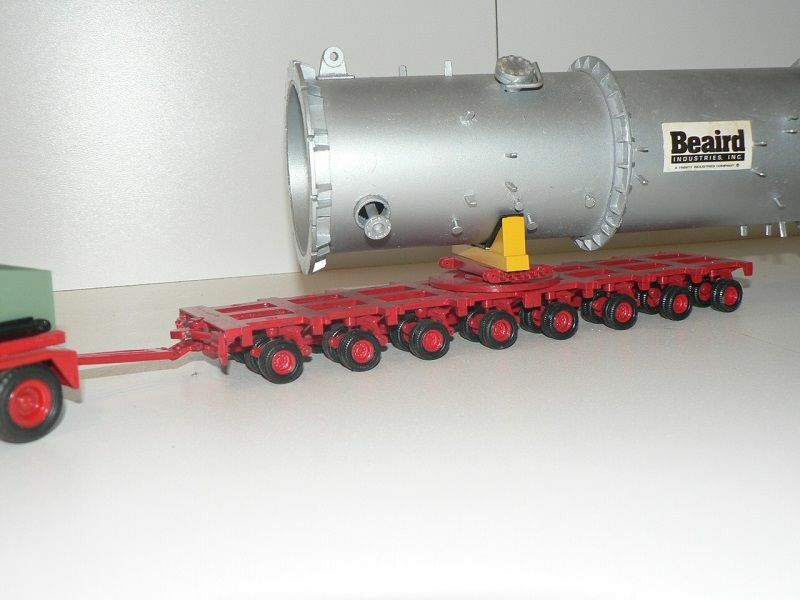 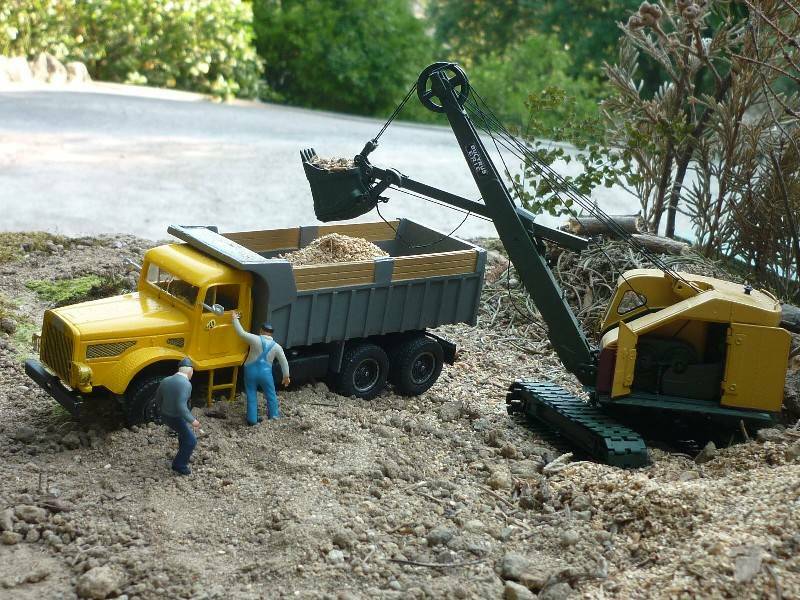 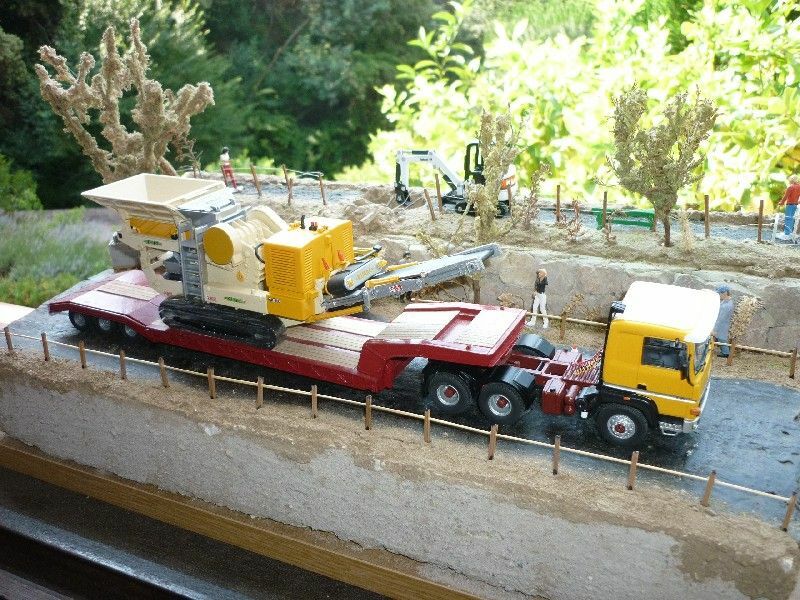 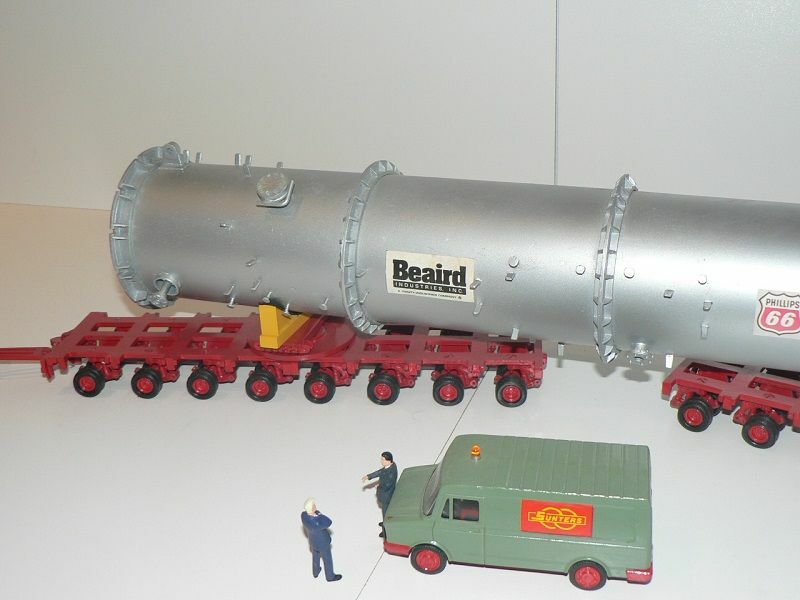 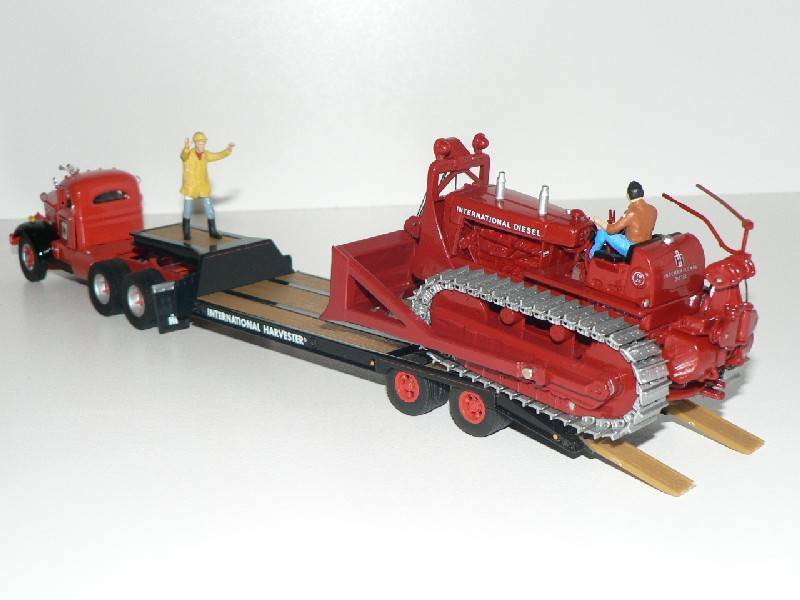 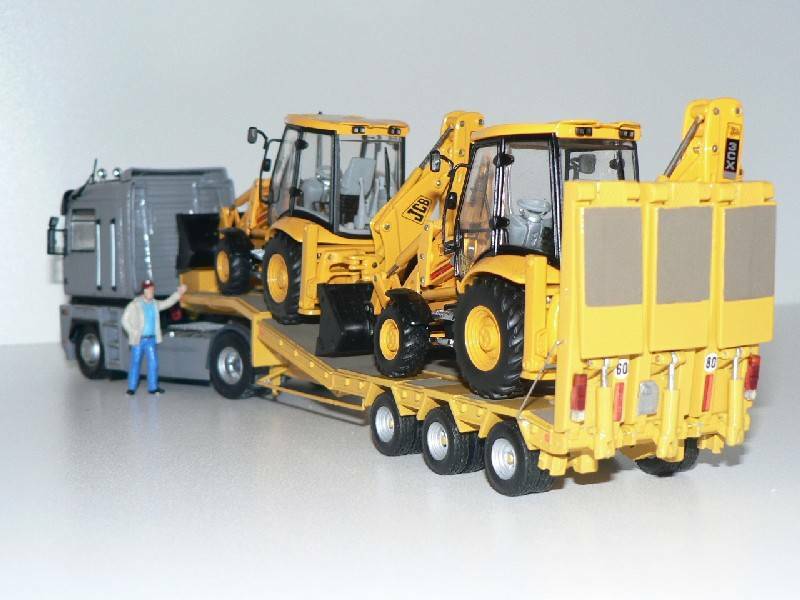 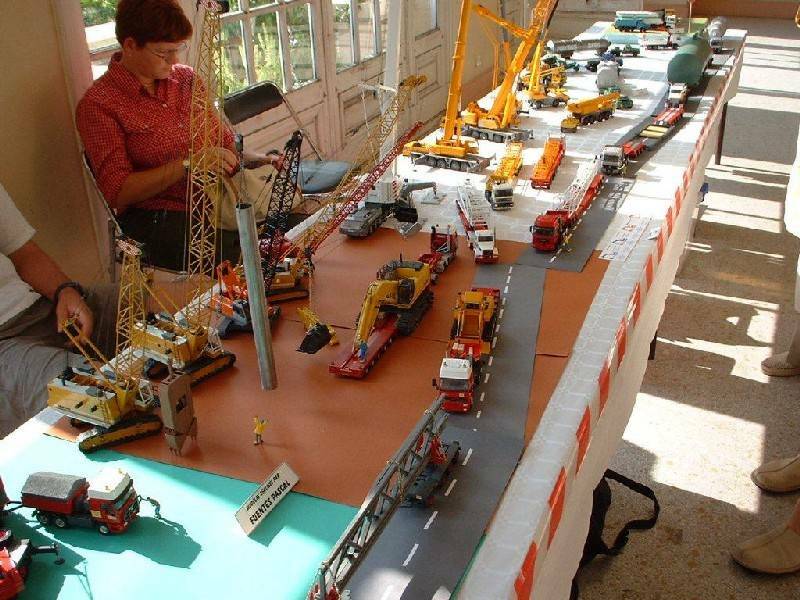 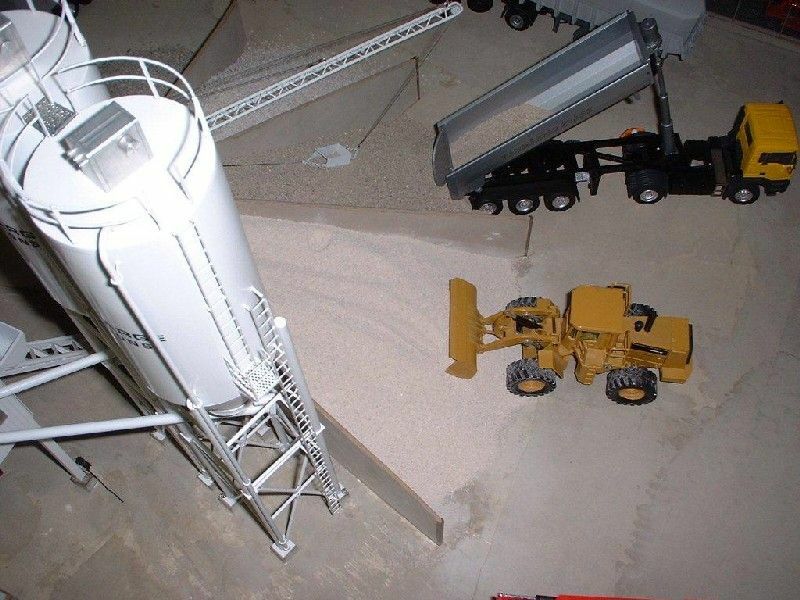 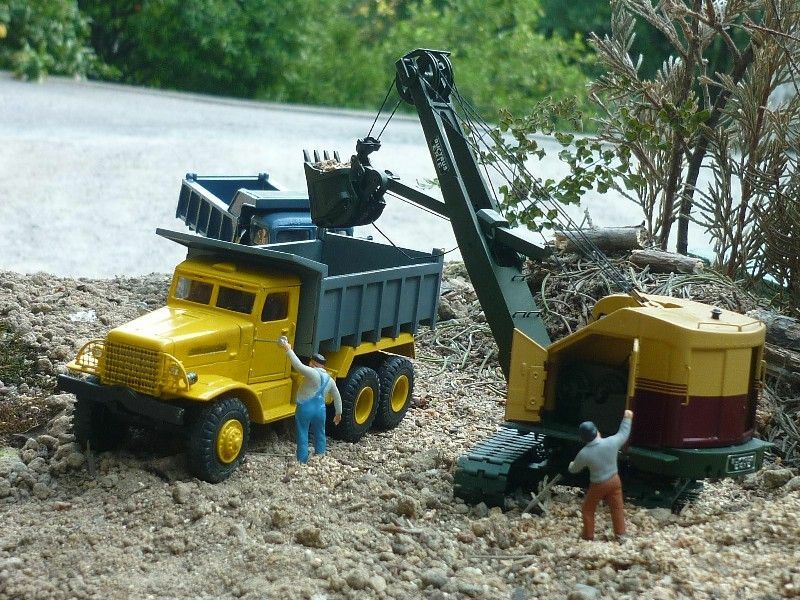 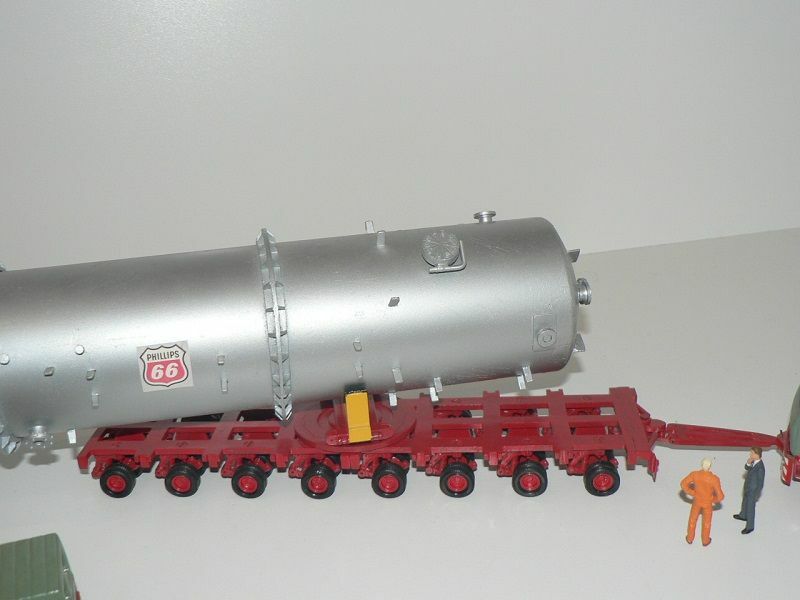 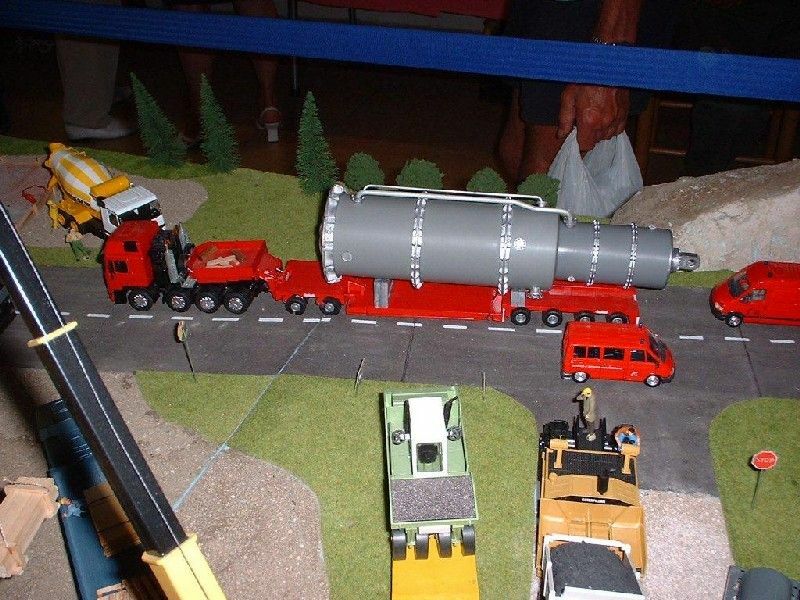 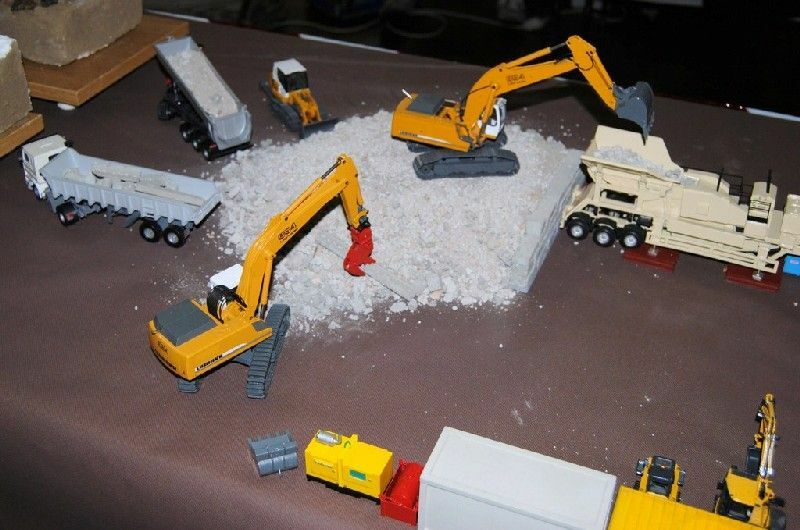 Early 2000s, another diorama displayed by Azur Modelisme. 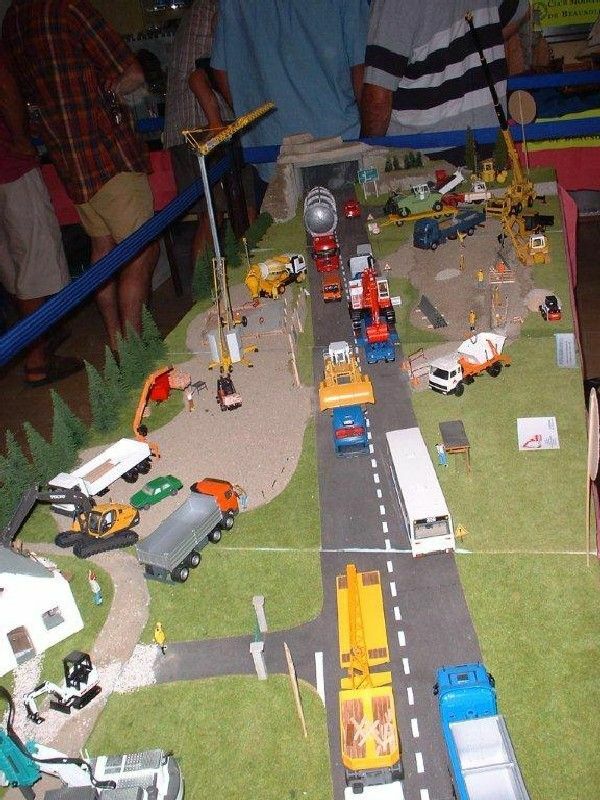 As often on this type of display, too much activities (road repairs, dismantling and construction, construction site opening, etc) in this little village supporting a very dense traffic! 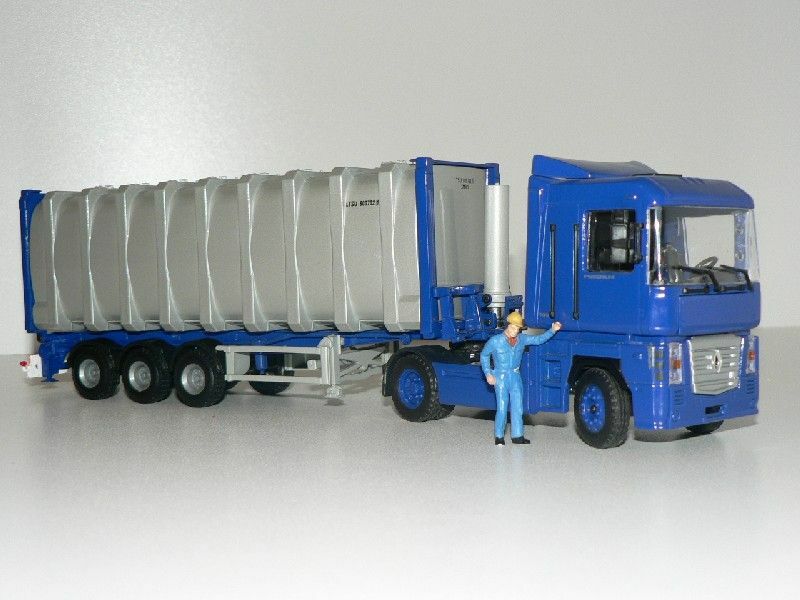 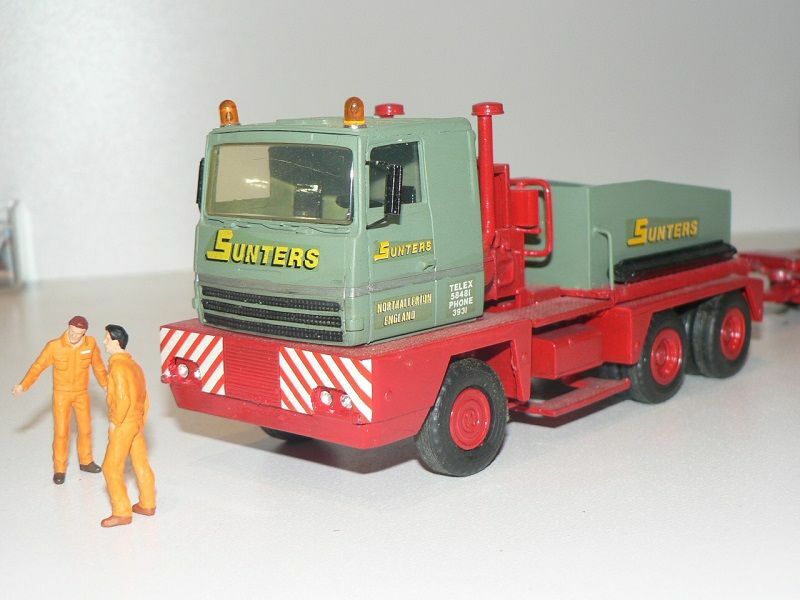 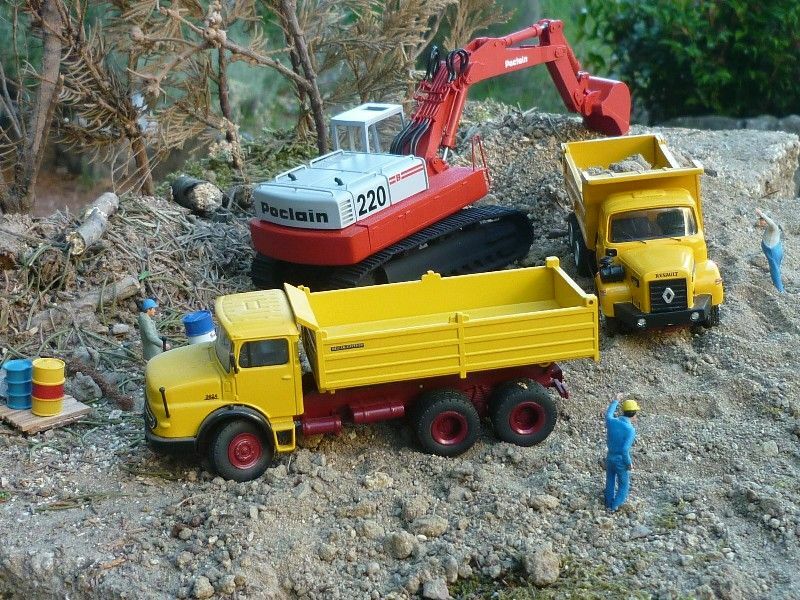 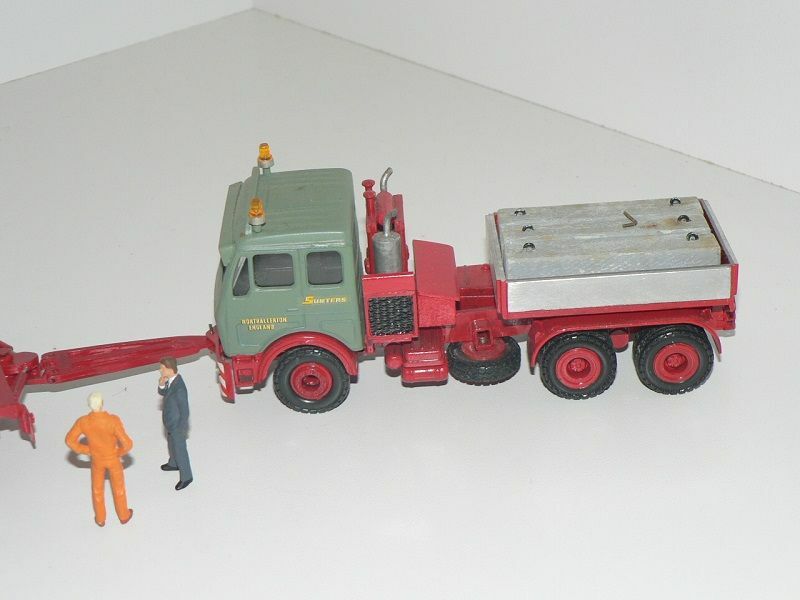 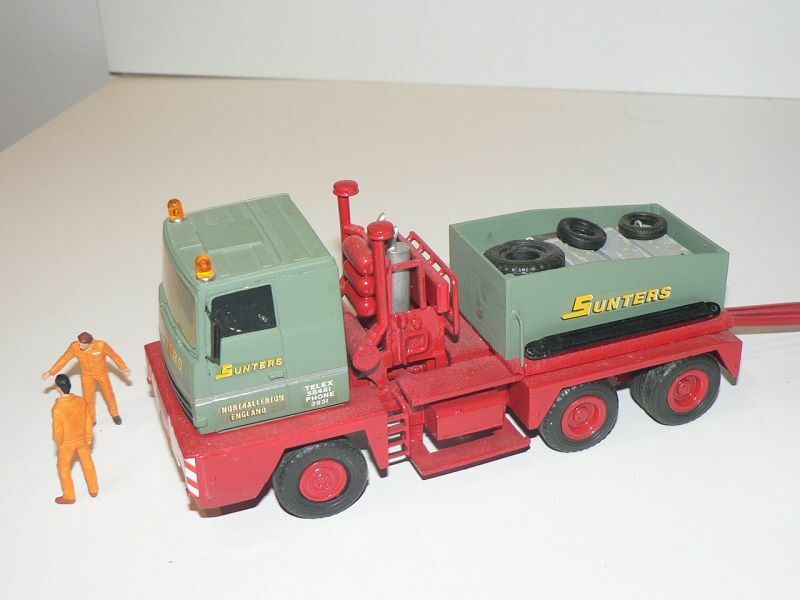 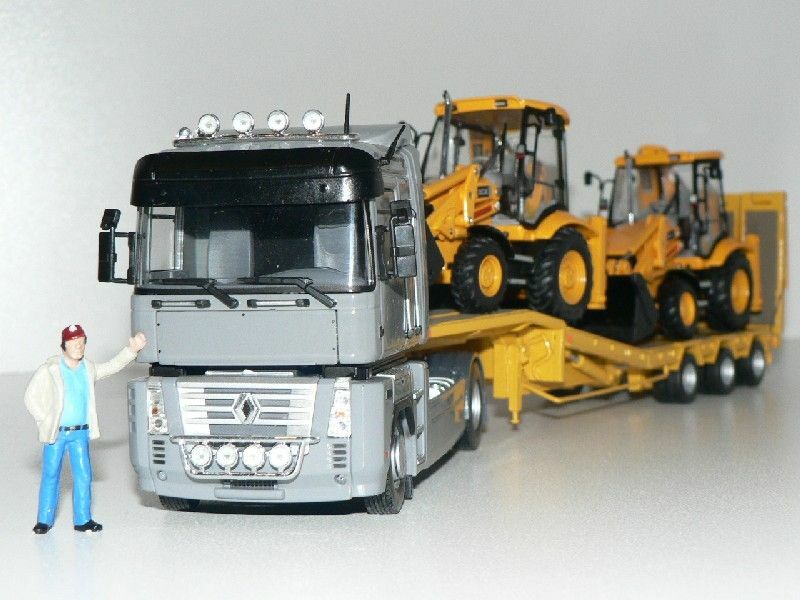 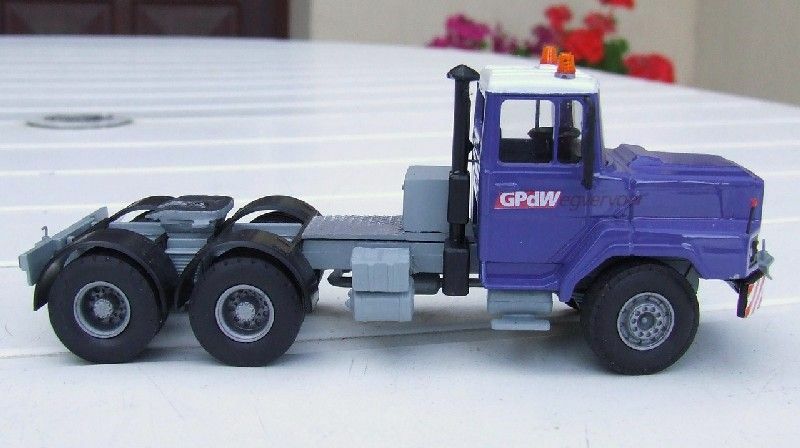 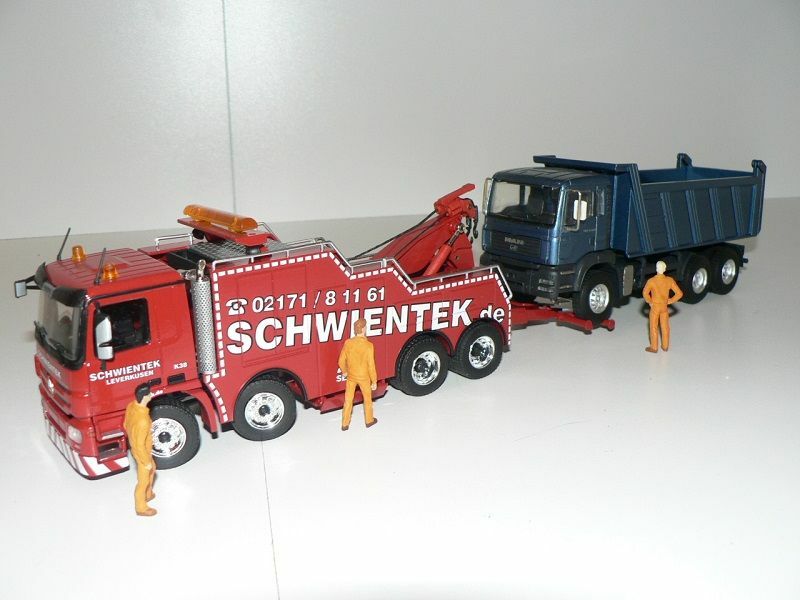 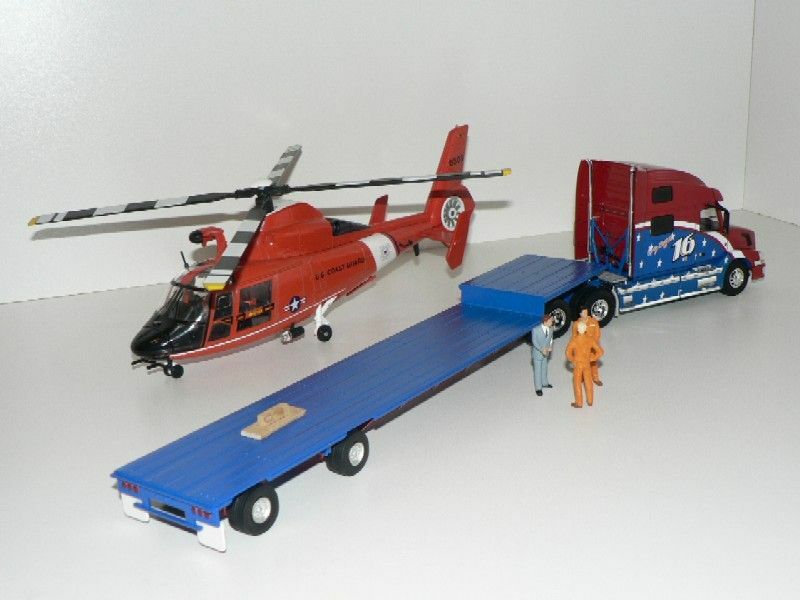 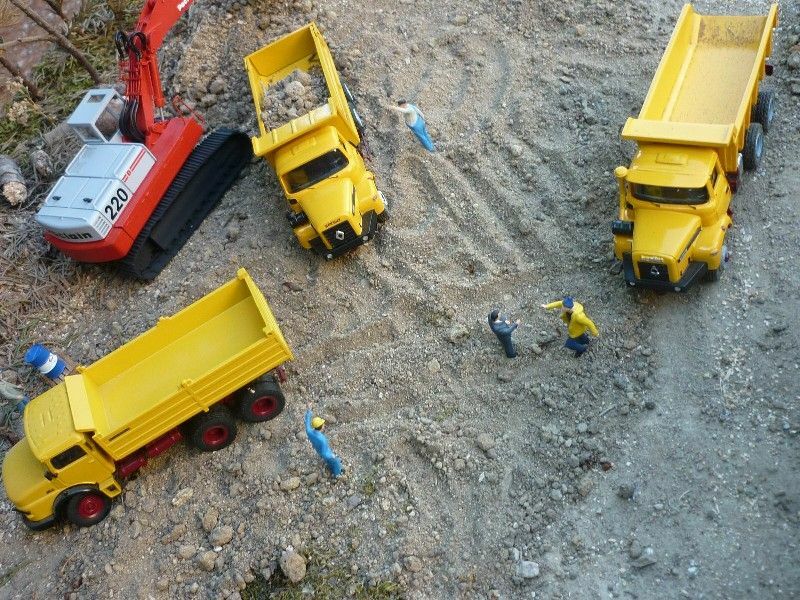 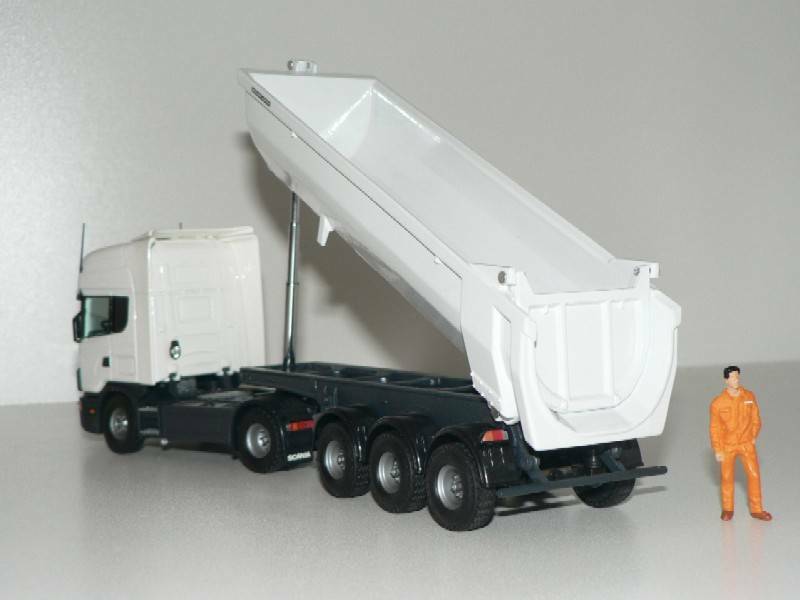 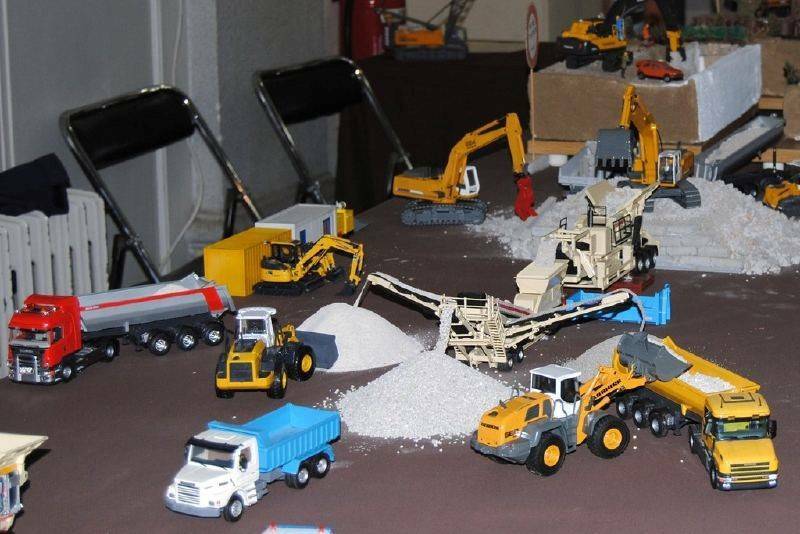 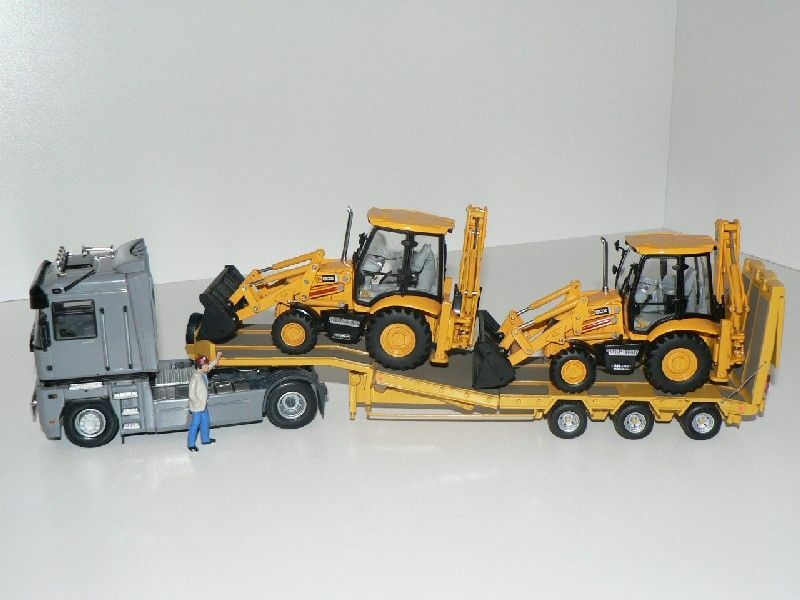 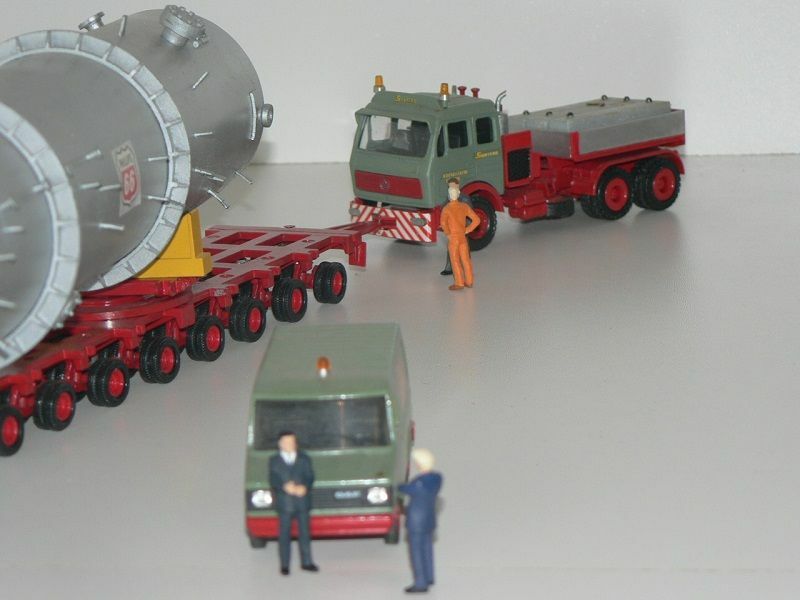 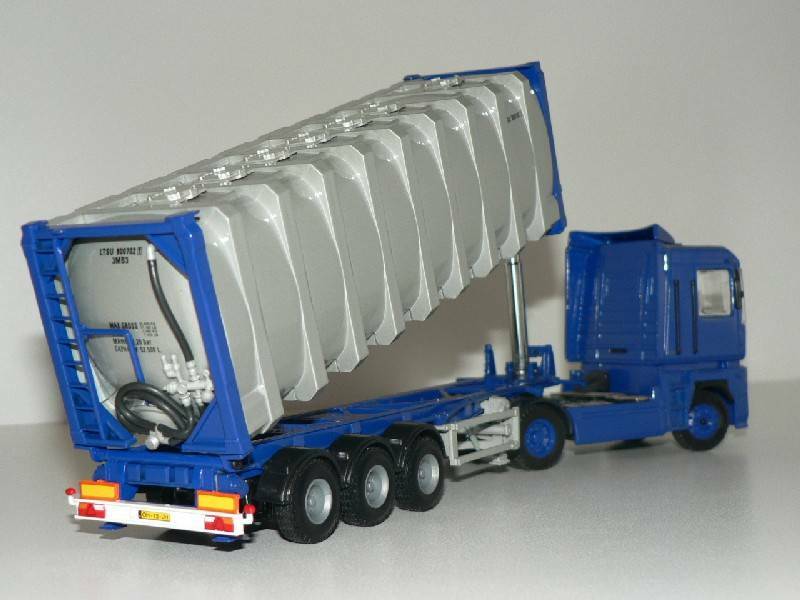 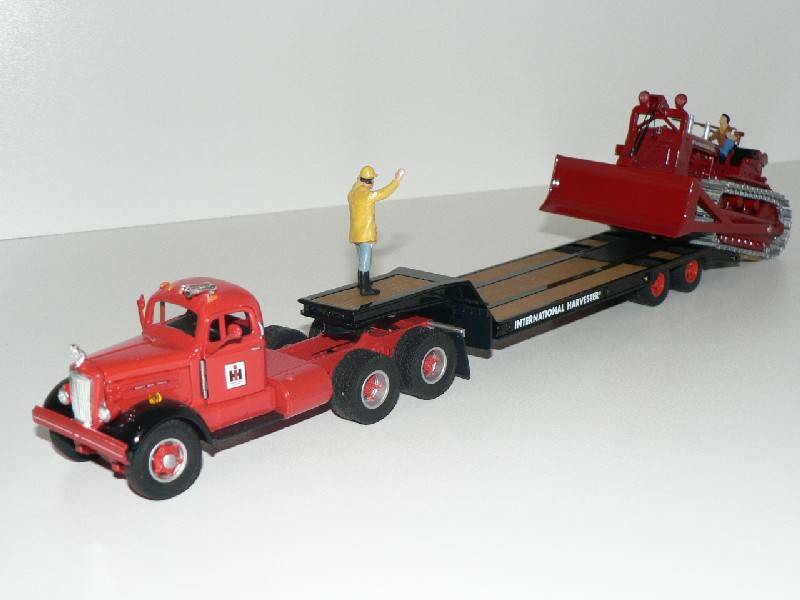 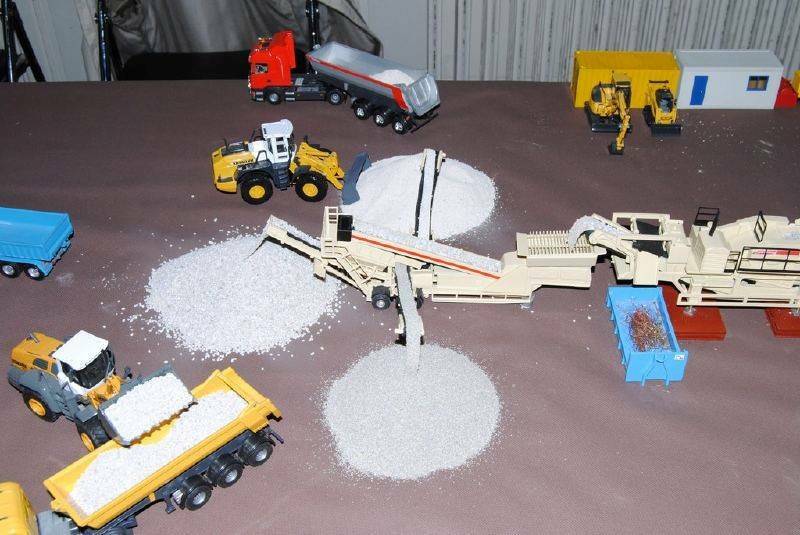 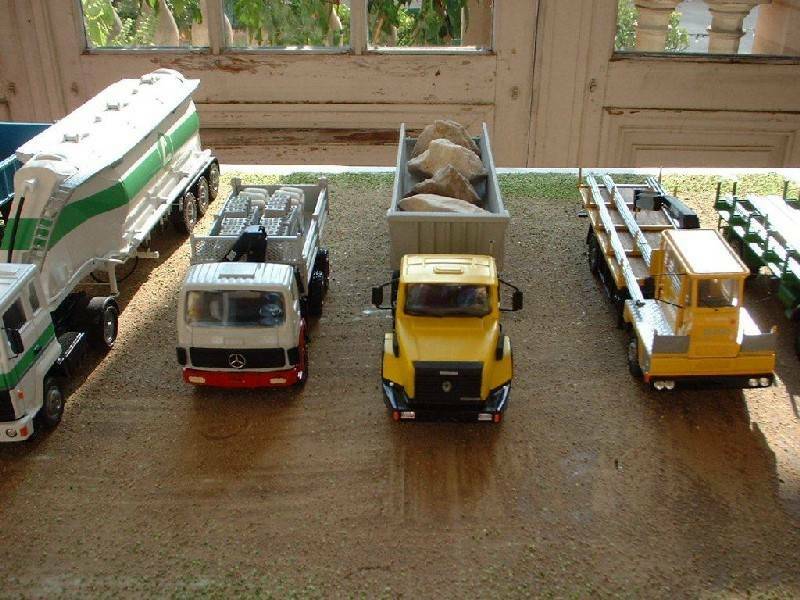 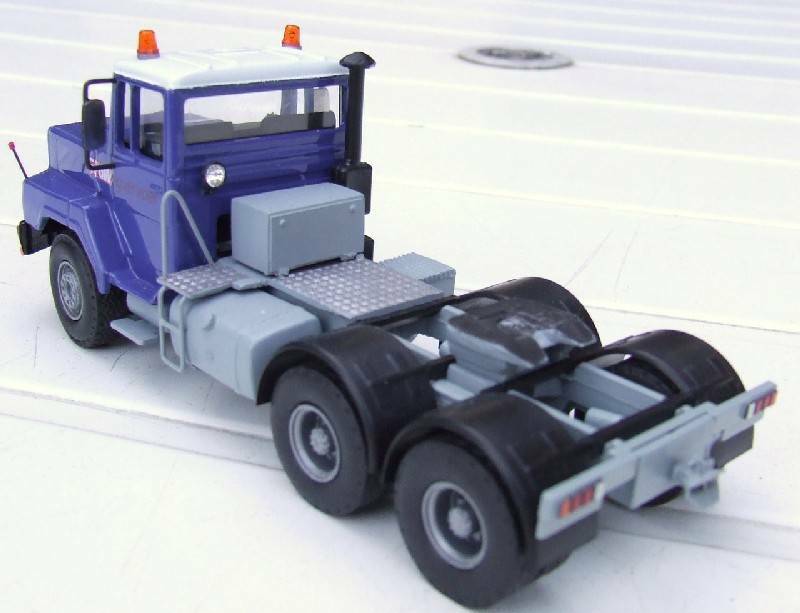 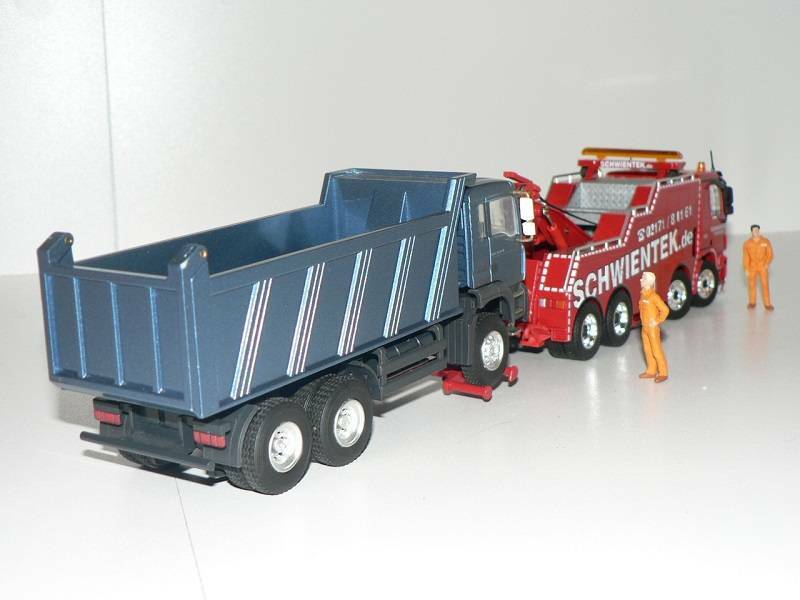 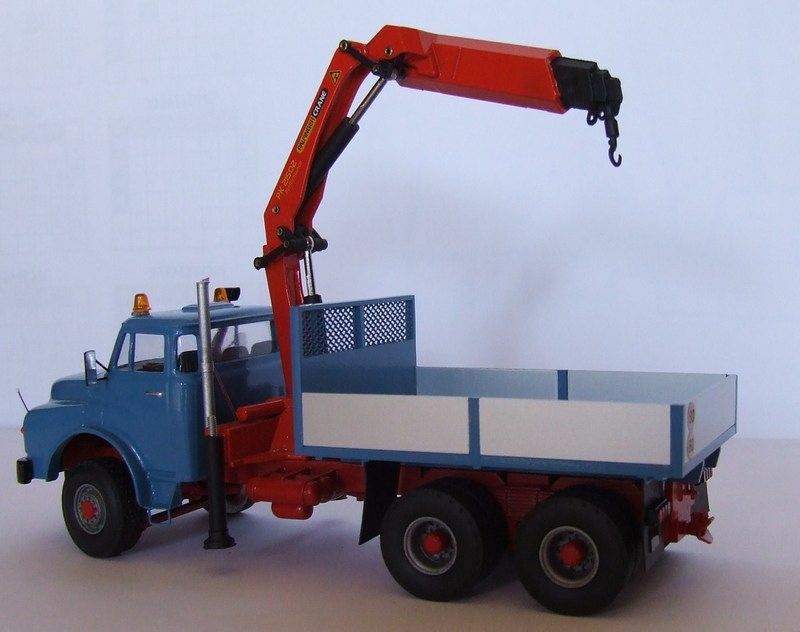 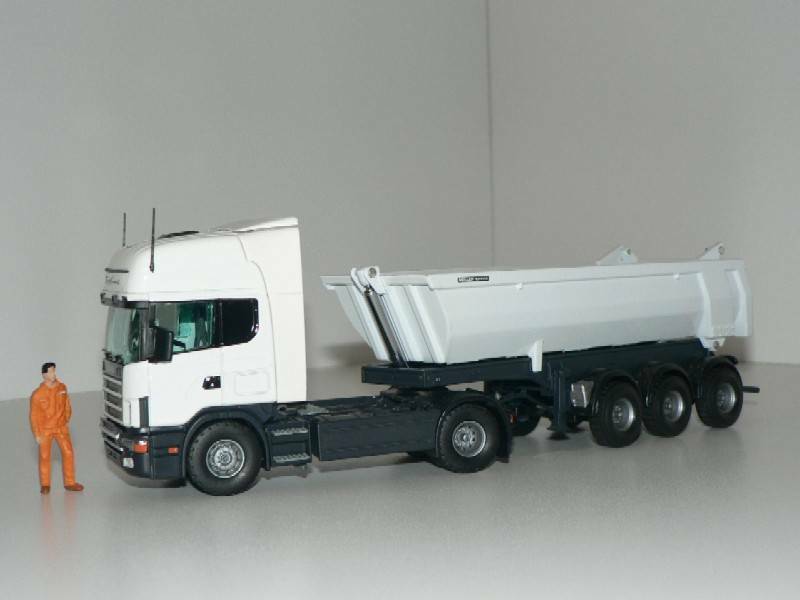 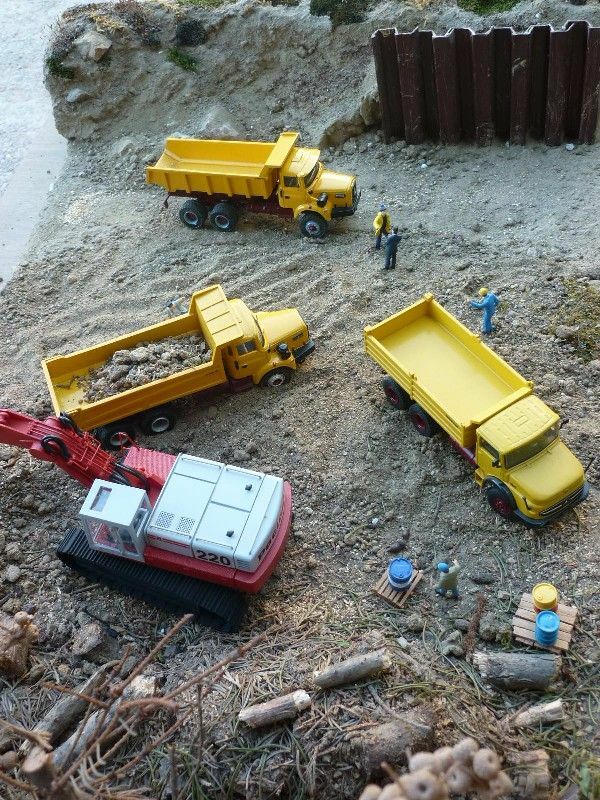 with, from left to right: an ex-Corgi Ford Transcontinental towing a bulk tanker, a Conrad Mercedes-Benz tipper with a Zon Models crane, a modified Minitrucks Renault towing a homemade tipper and 2 typical French products - steel beams carriers with narrow central cabs - made from DAF and Berliet modified Minitrucks kits. 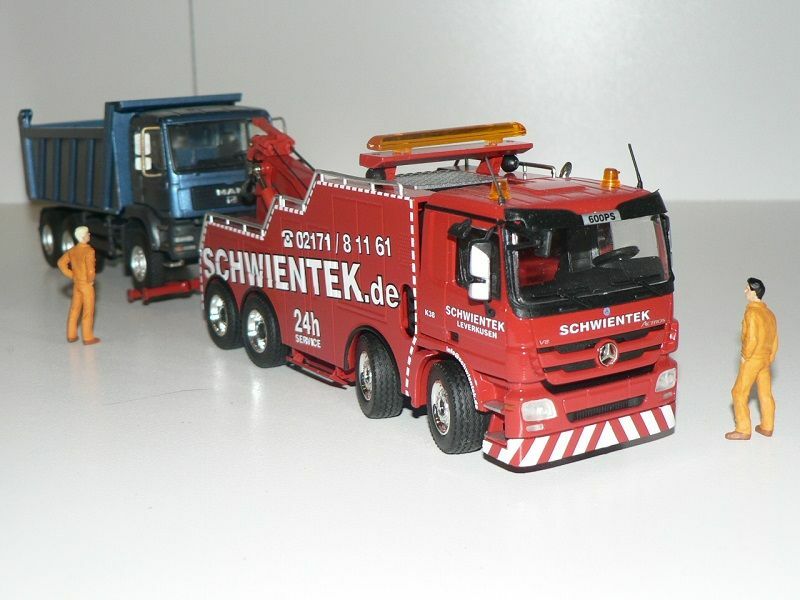 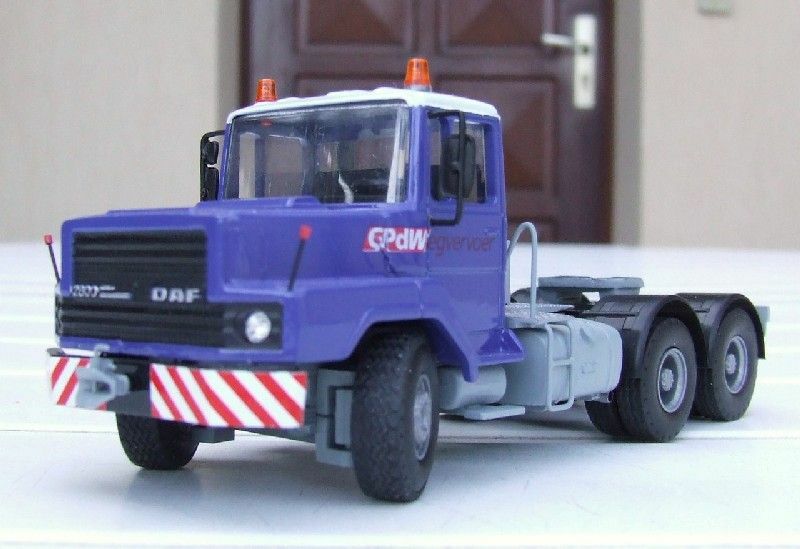 Back in this century on German roads with Conrad models. 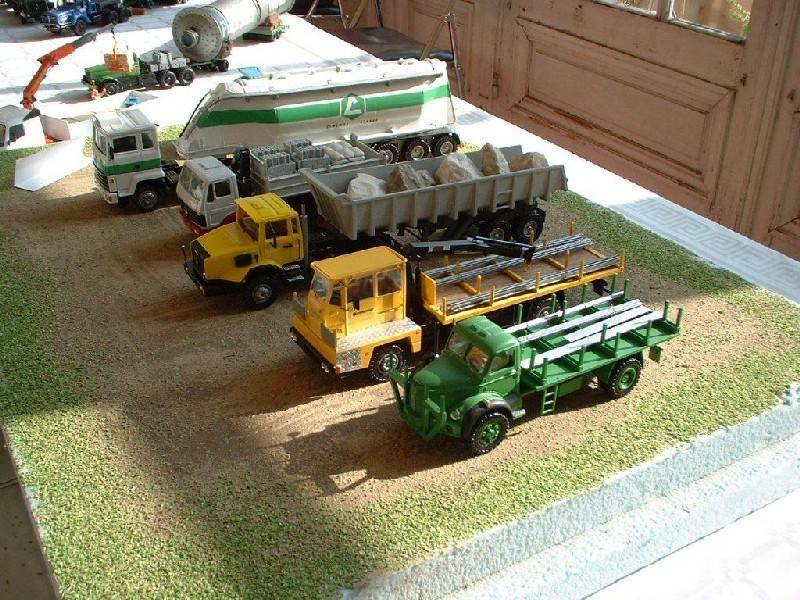 A few models made by Jean-Francois.